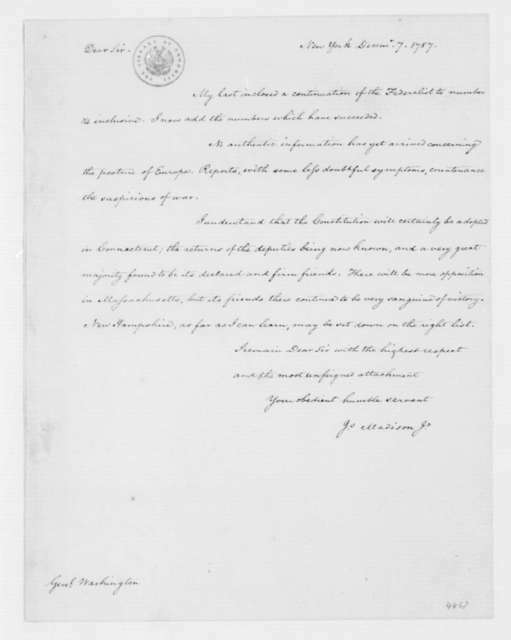 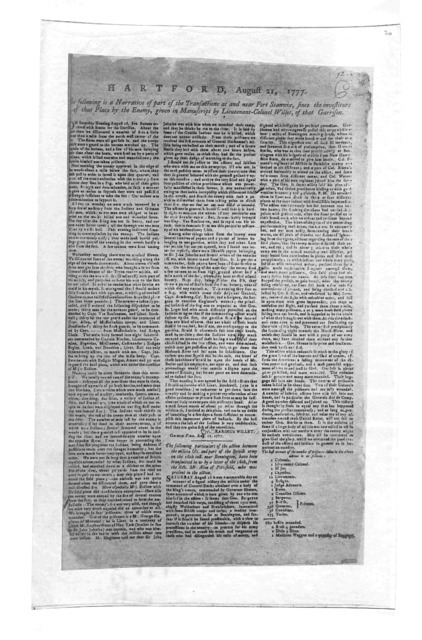 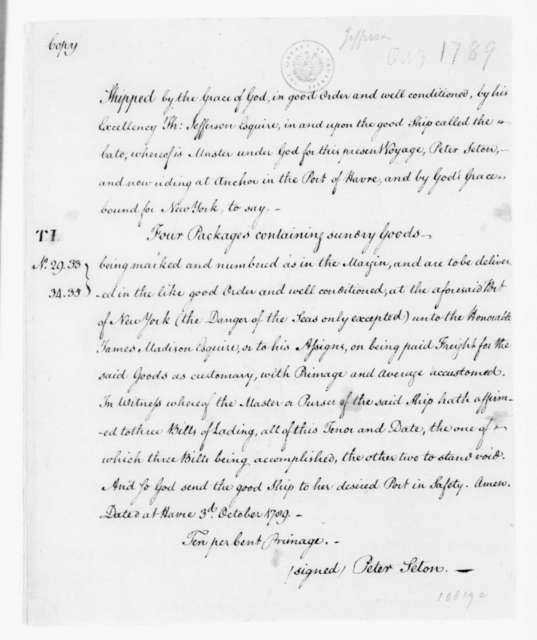 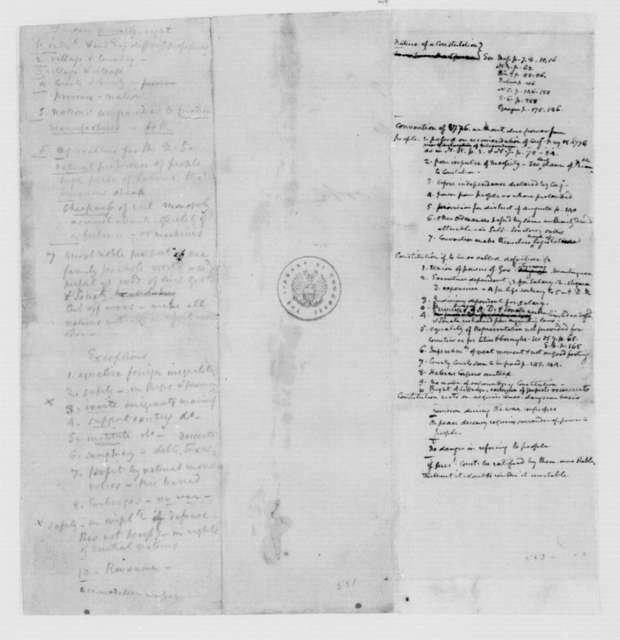 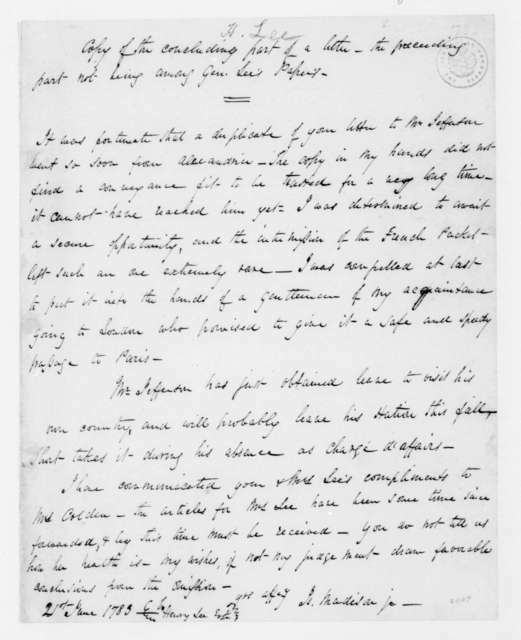 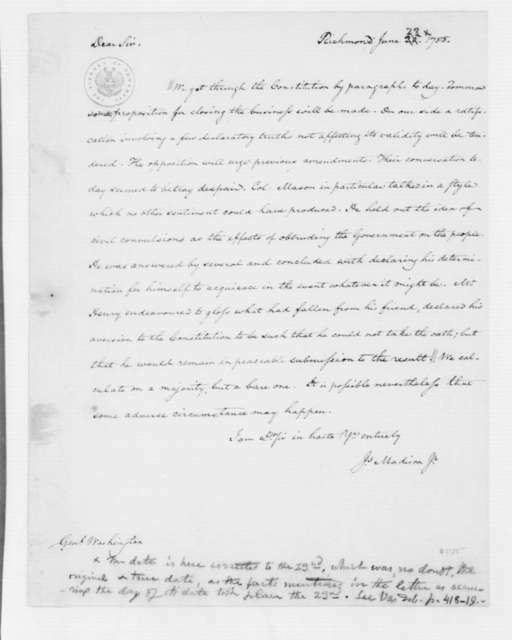 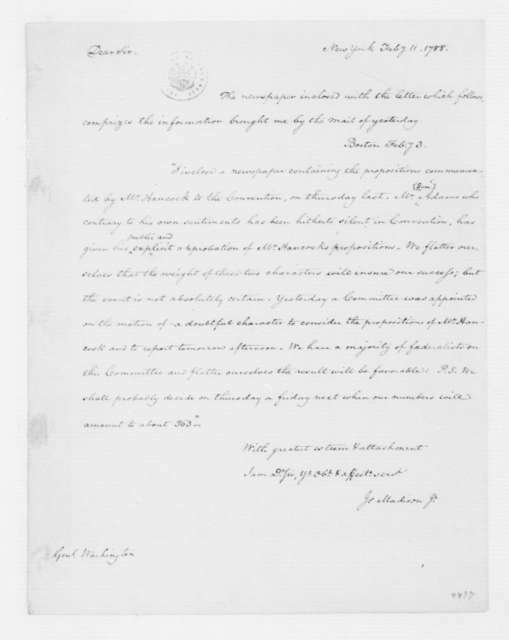 Volume 5: "Notes on Salkeld's Reports," "An act further to amend the judicial system of the United States," and "An act to punish certain offences against the United States"
[Manuscript map of Dagua River region, Colombia]. 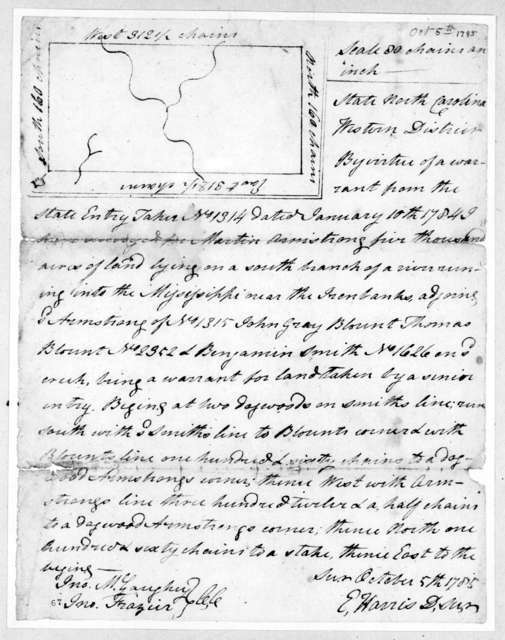 A new map of the British colonies in North America, shewing the seat of the present war, taken from the best surveys, compared with and improved from manuscripts of several noblemen and gentlemen. 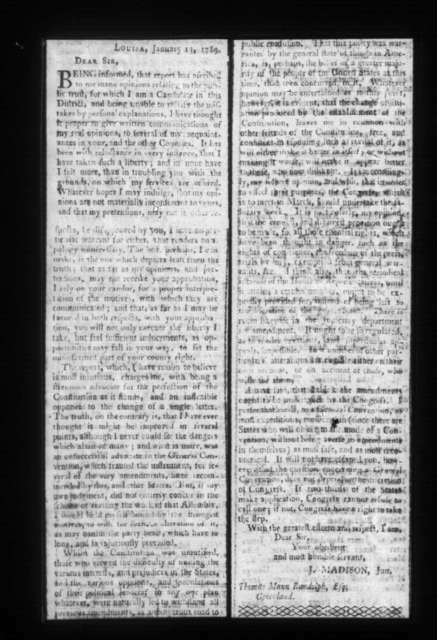 Joseph Jones. 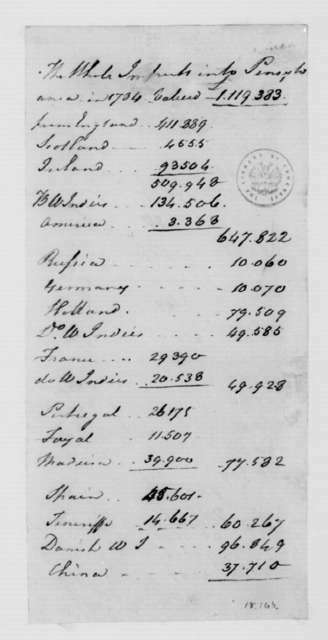 Summary, Pennsylvania Imports. 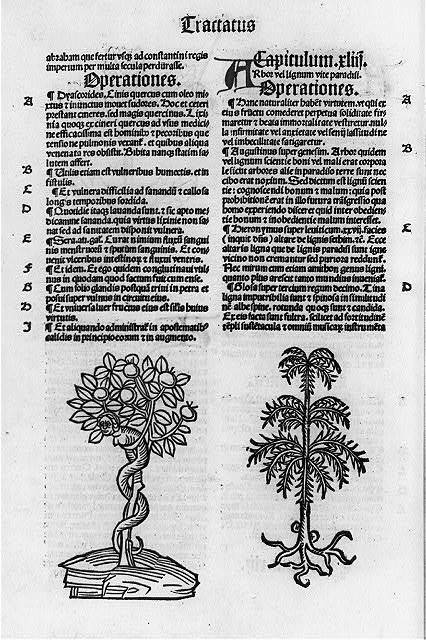 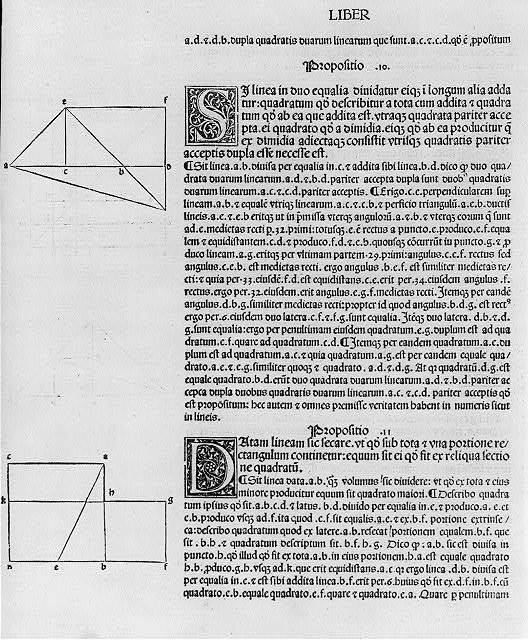 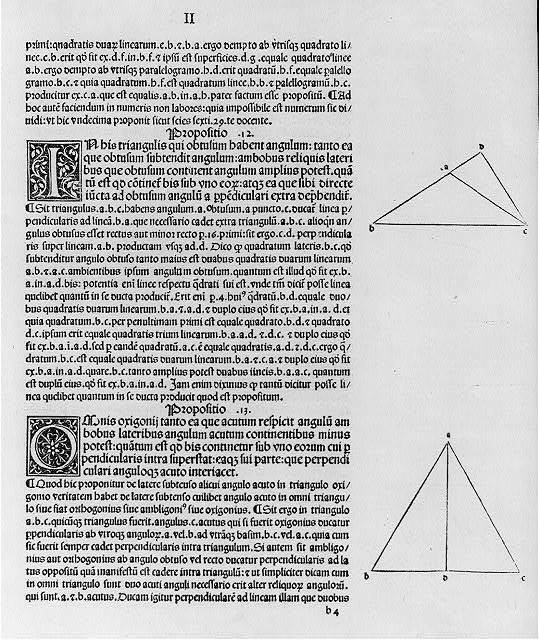 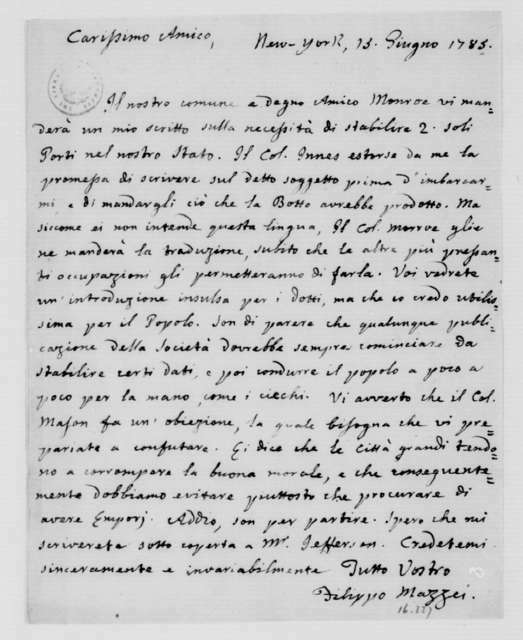 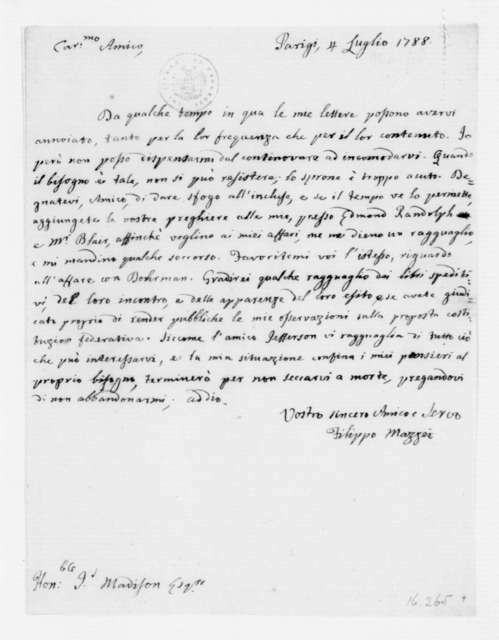 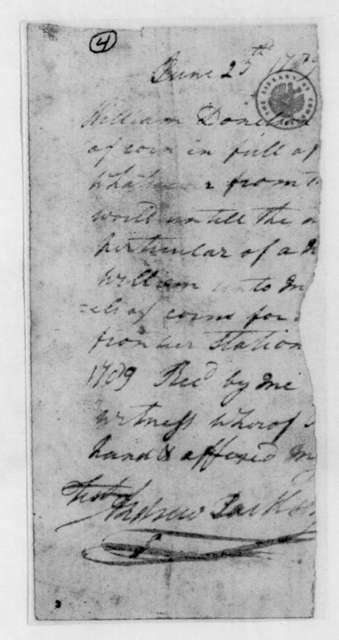 1784. 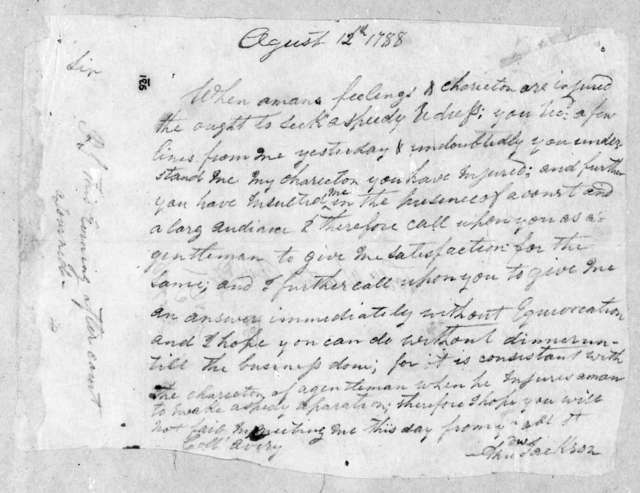 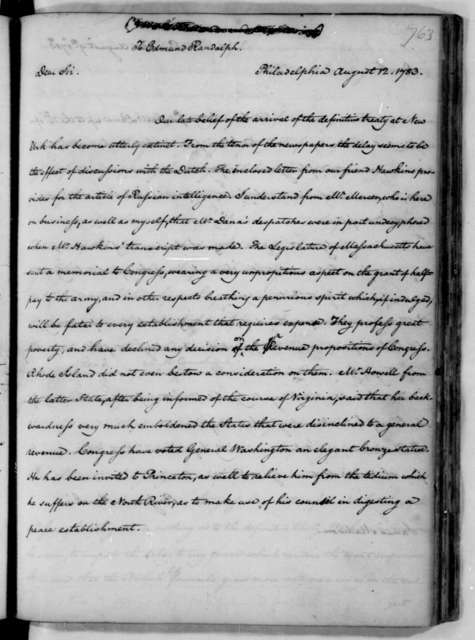 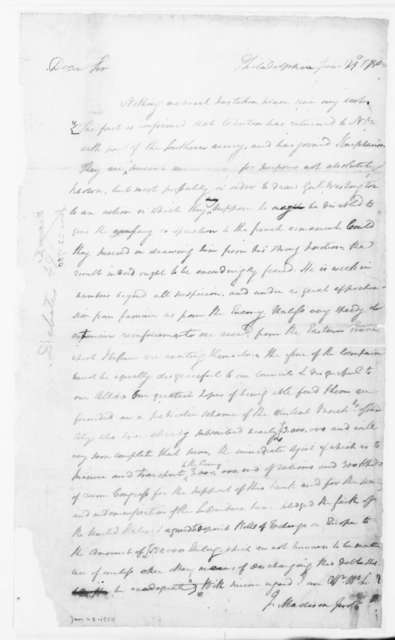 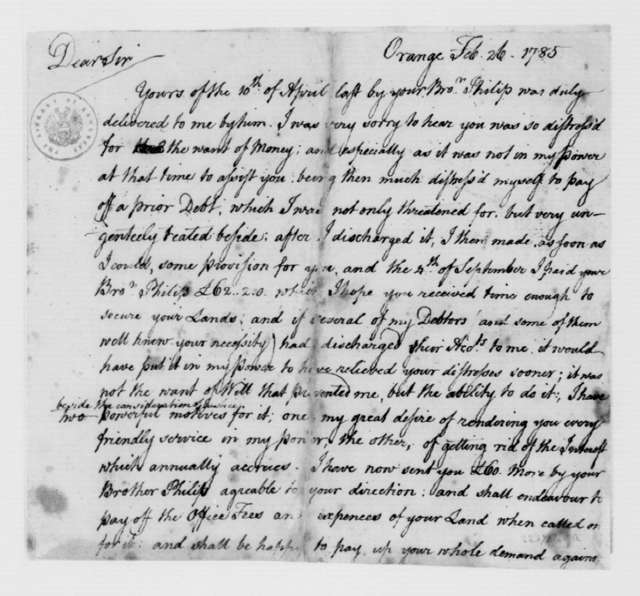 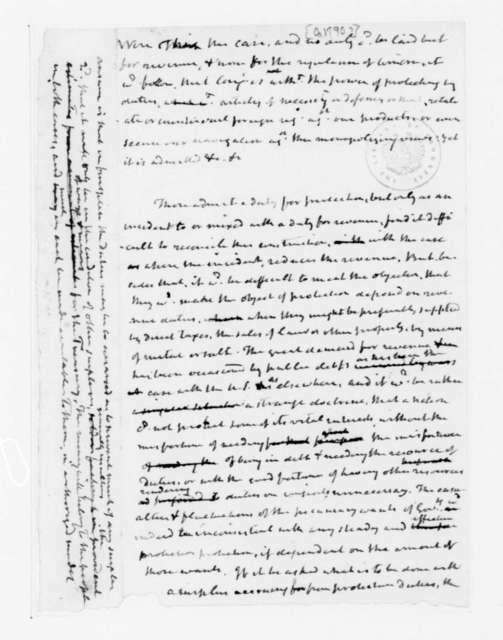 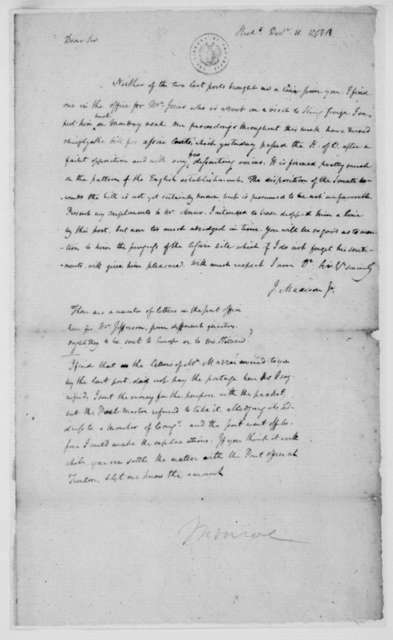 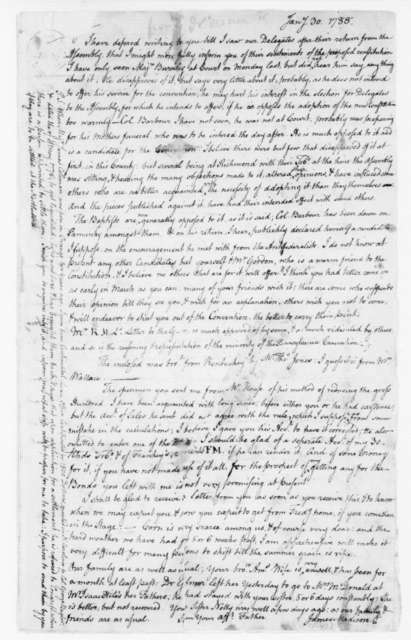 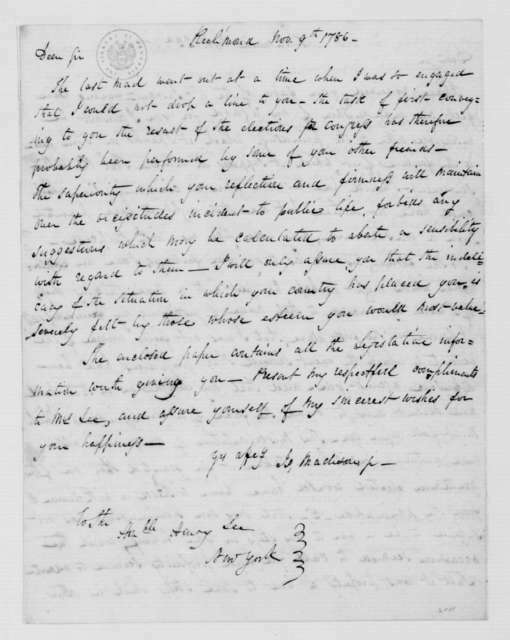 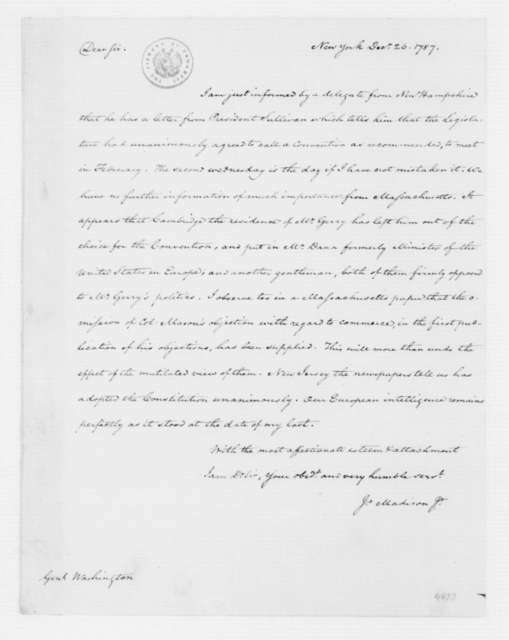 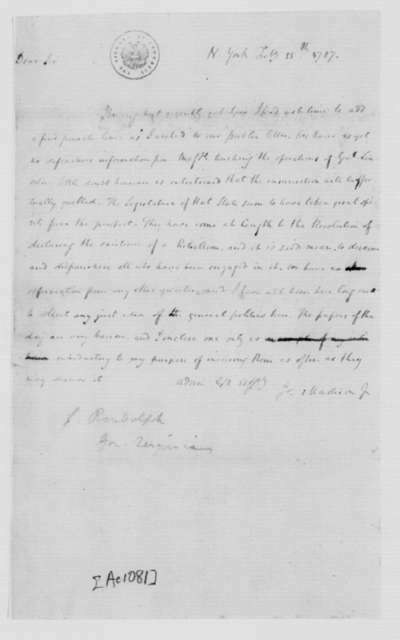 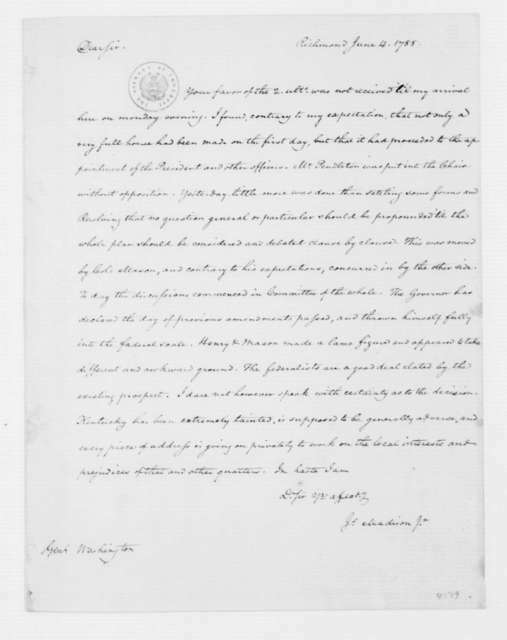 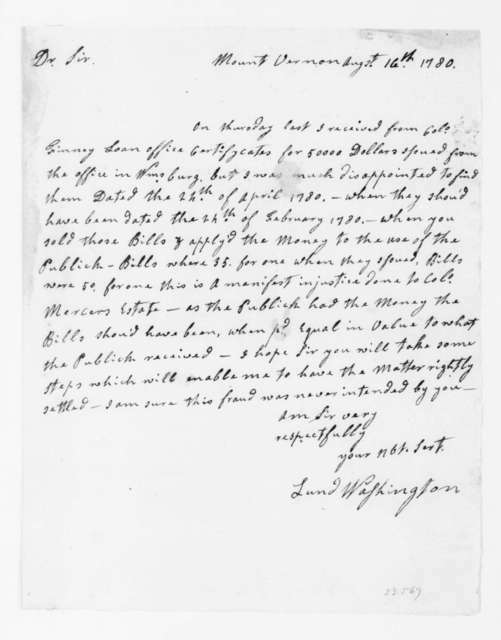 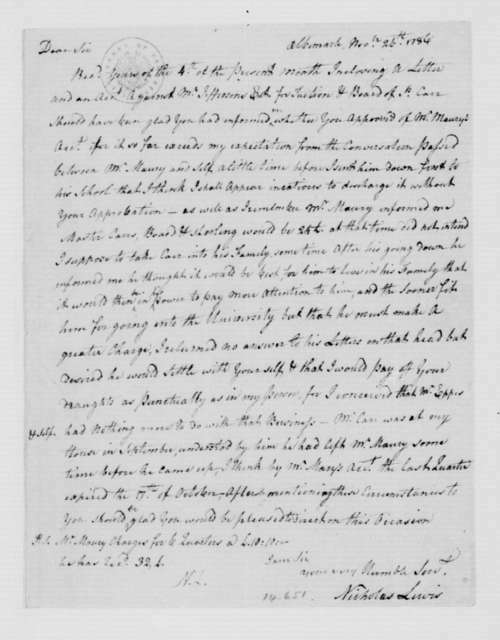 Jonathan Hopkins to Thomas Underwood, January 3, 1784. 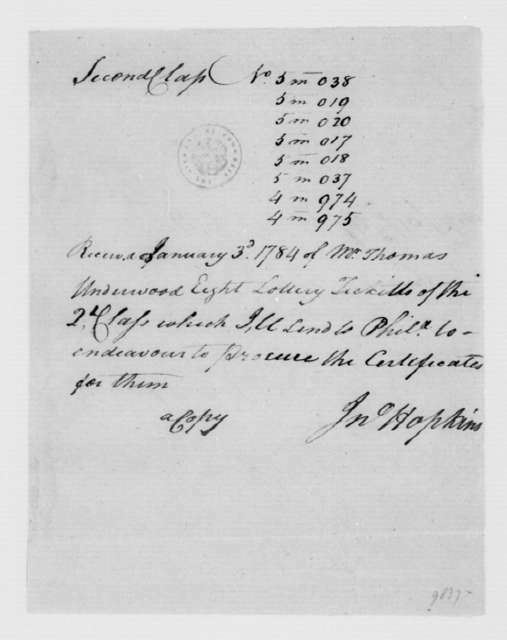 Receipt for Lottery Tickets. 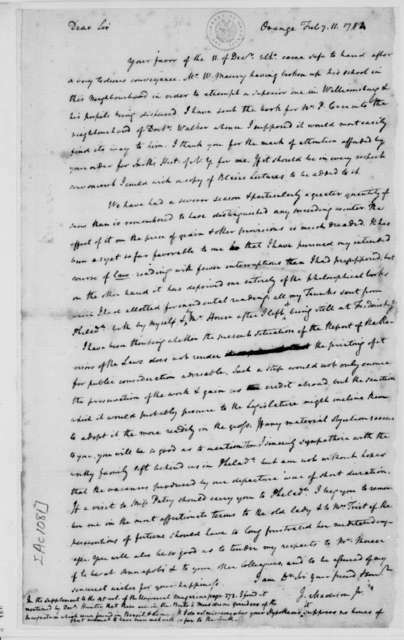 George Mason, May 31, 1787. 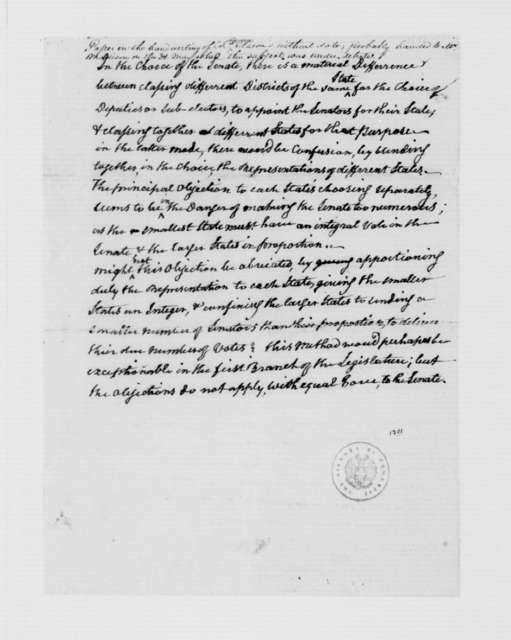 Notes on Representation, State and Federal Government. 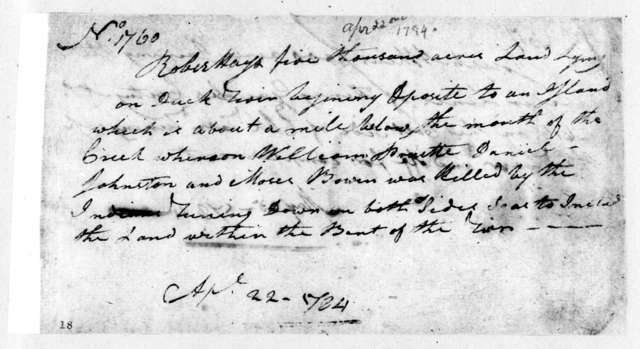 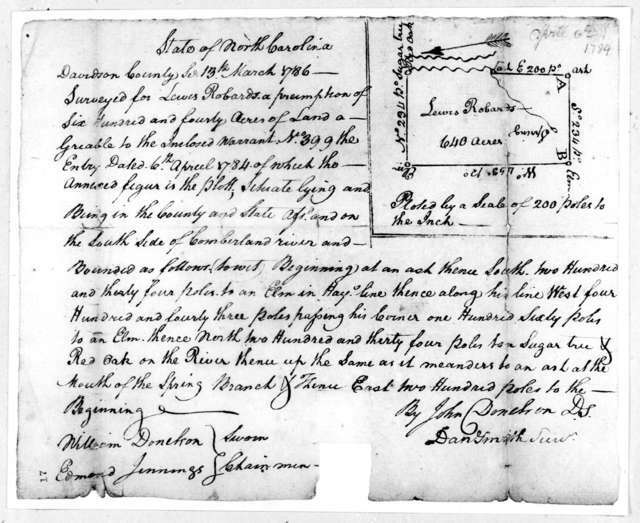 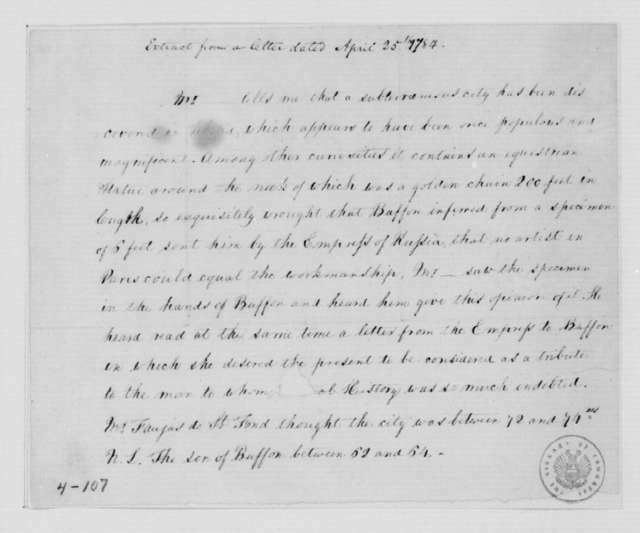 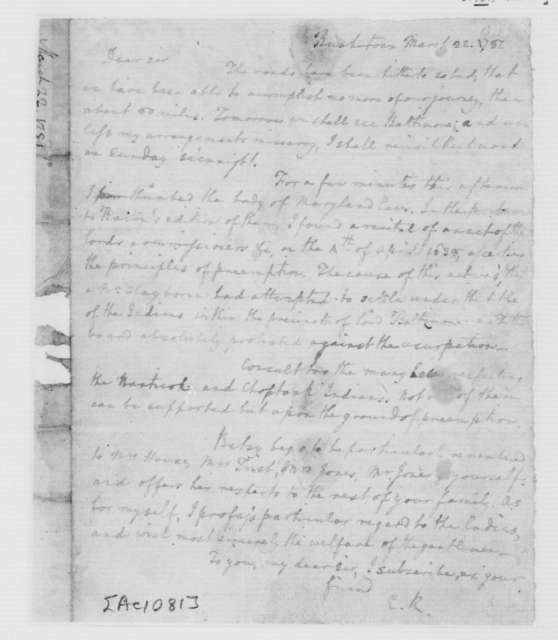 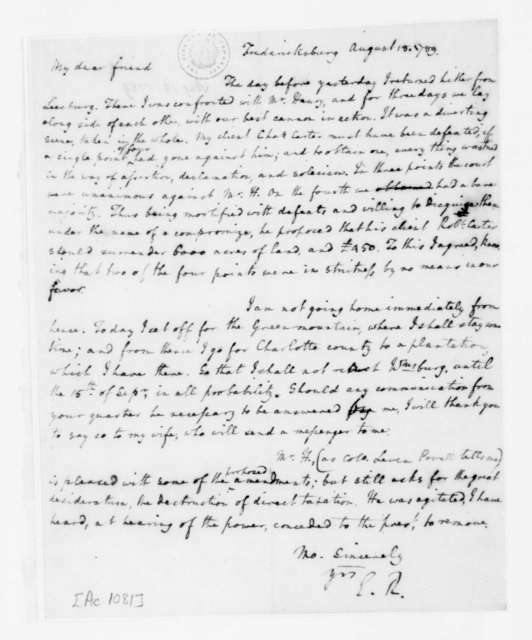 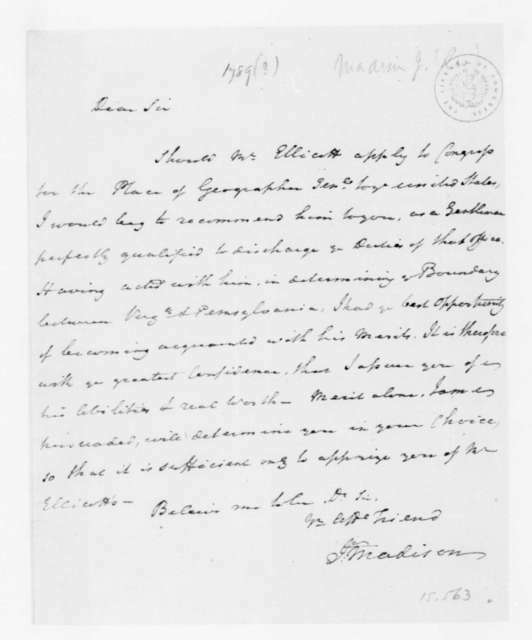 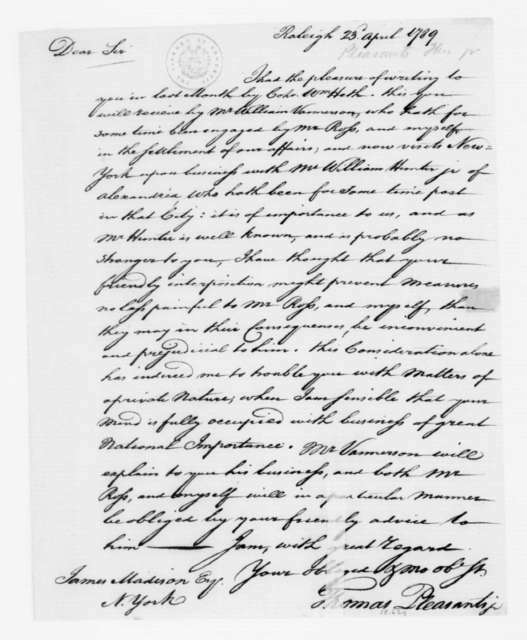 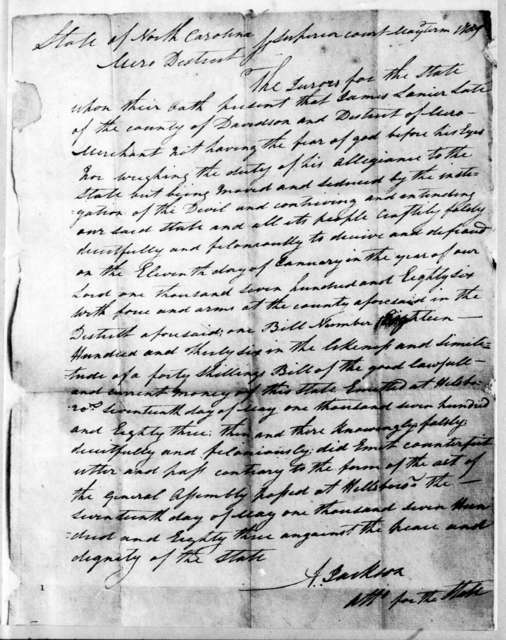 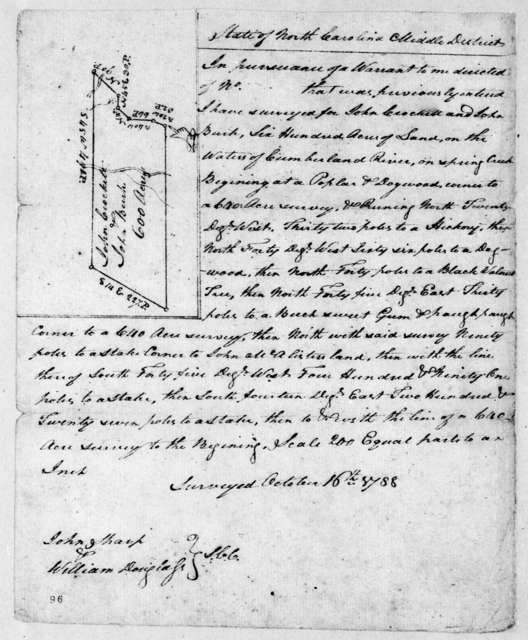 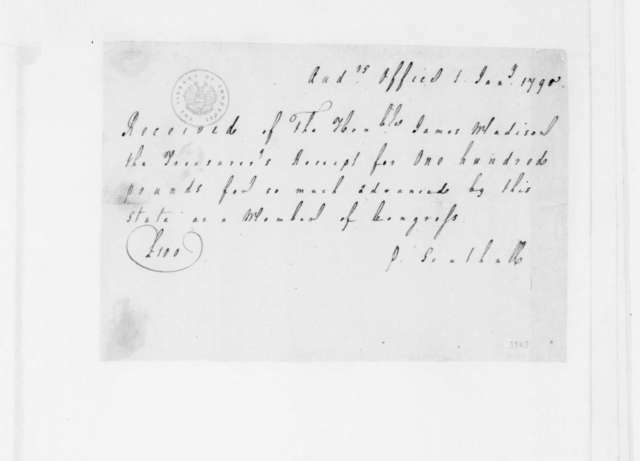 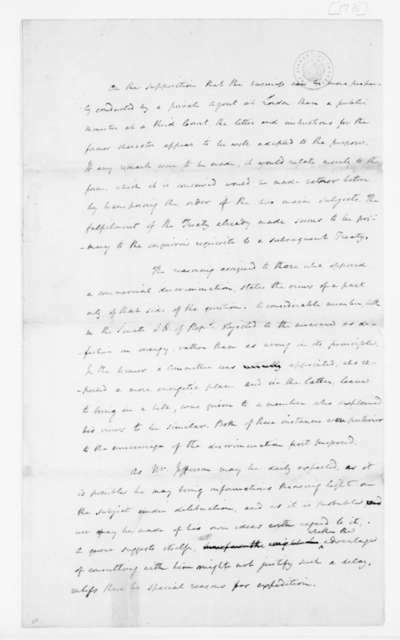 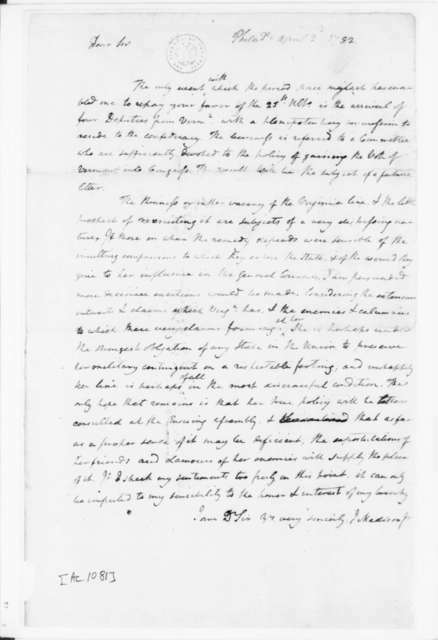 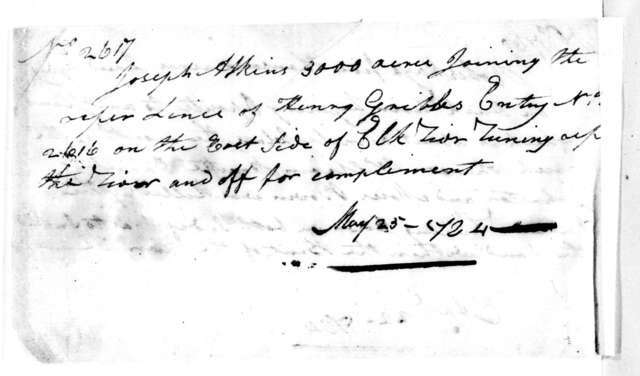 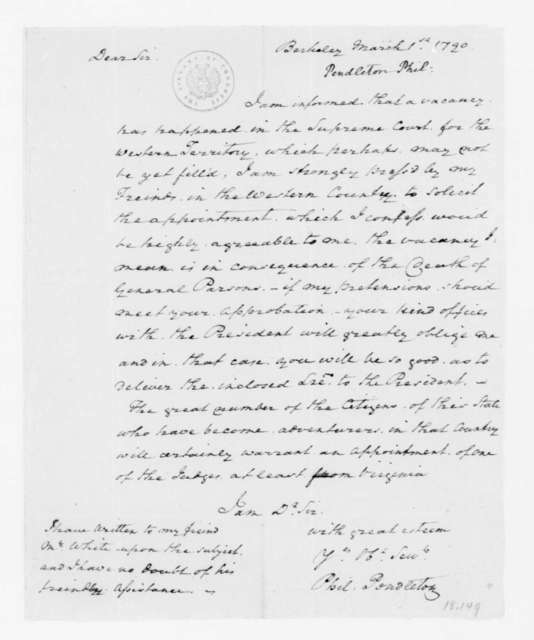 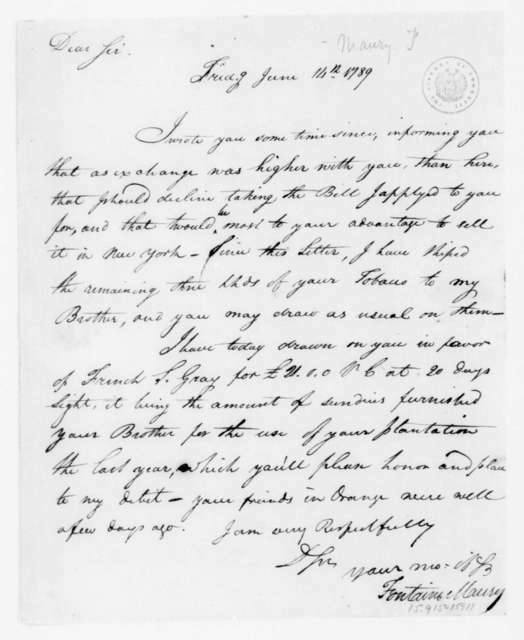 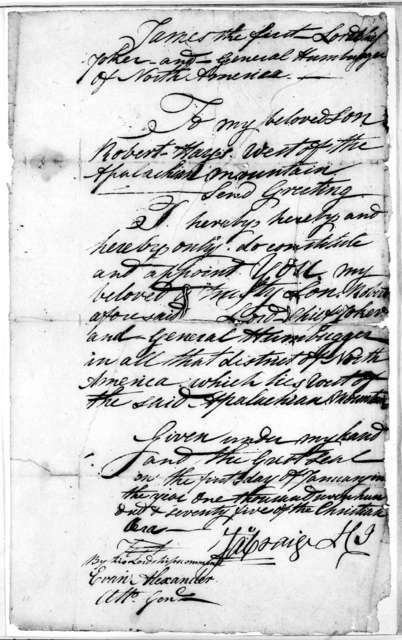 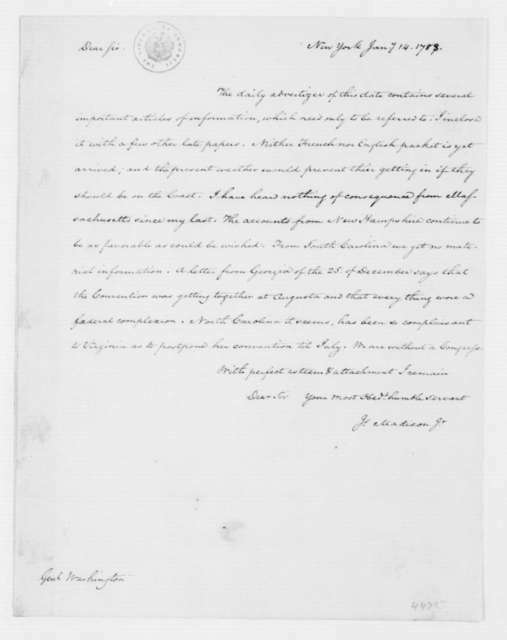 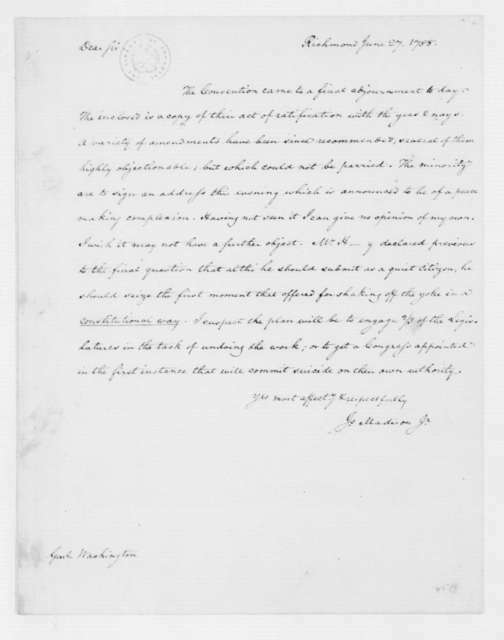 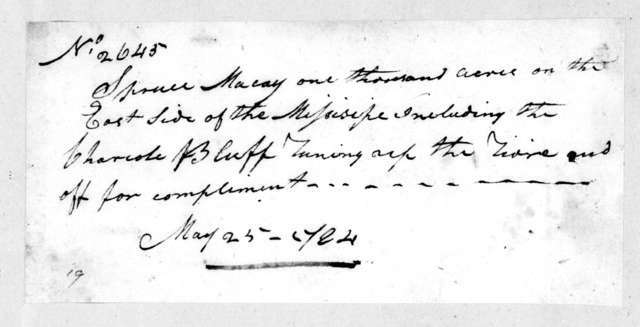 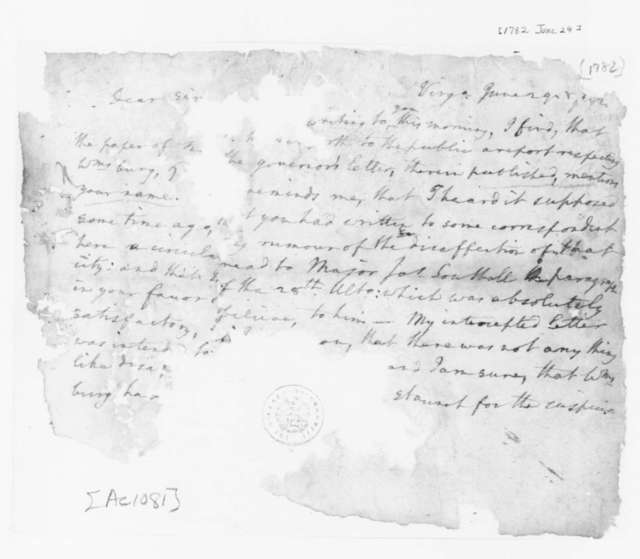 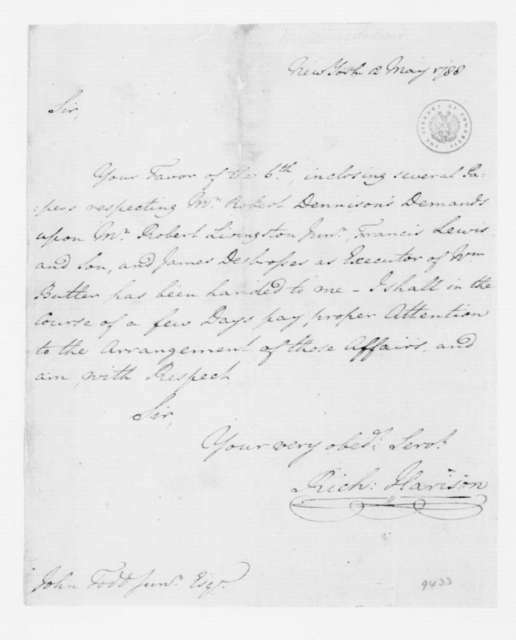 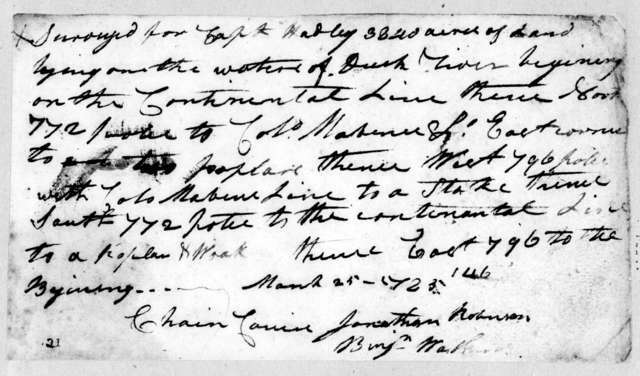 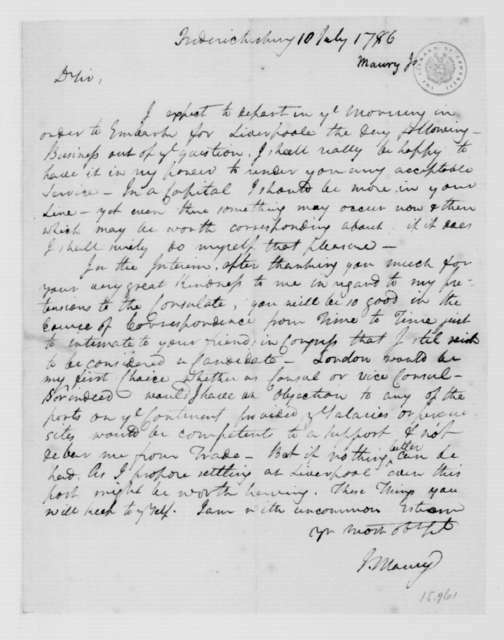 Richard Harrison to J. Todd, Jr., May 12, 1788. 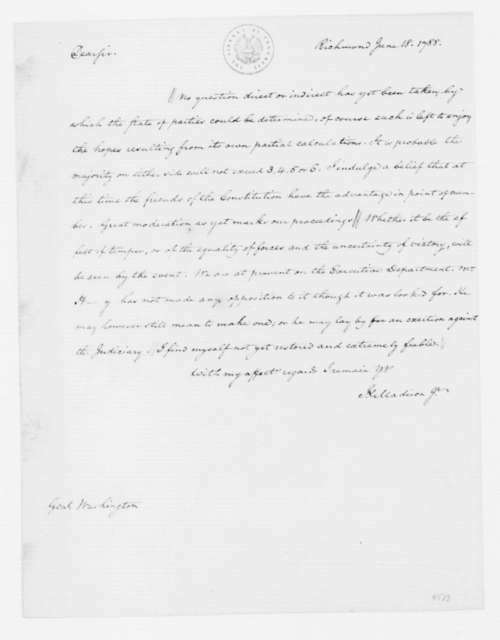 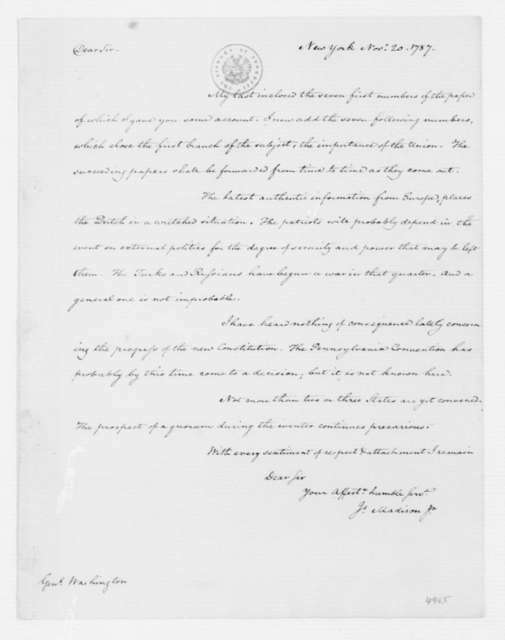 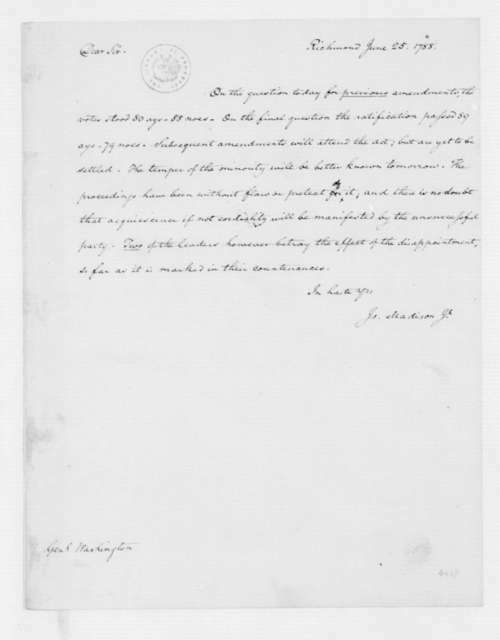 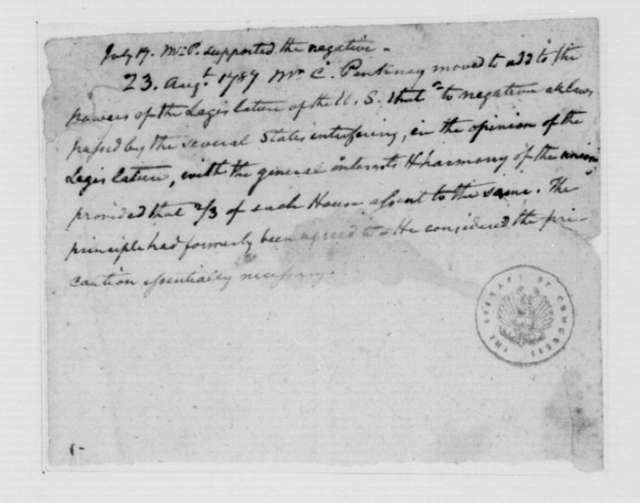 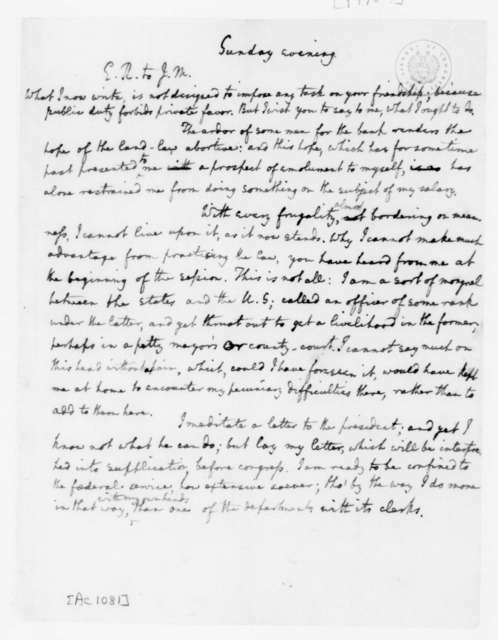 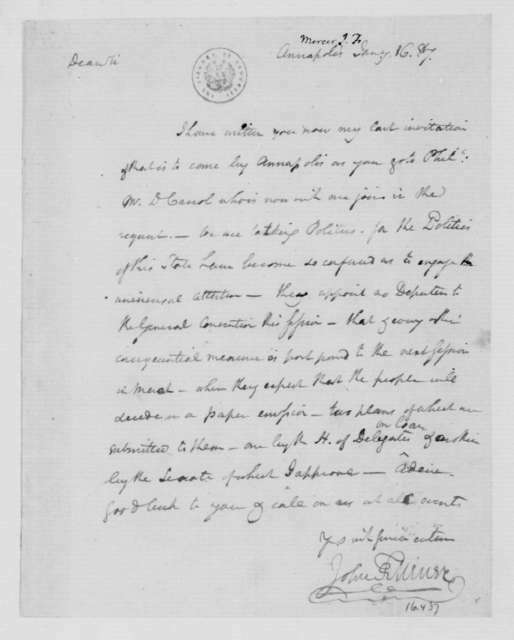 Peter Seton to Thomas Jefferson, September 28, 1789. 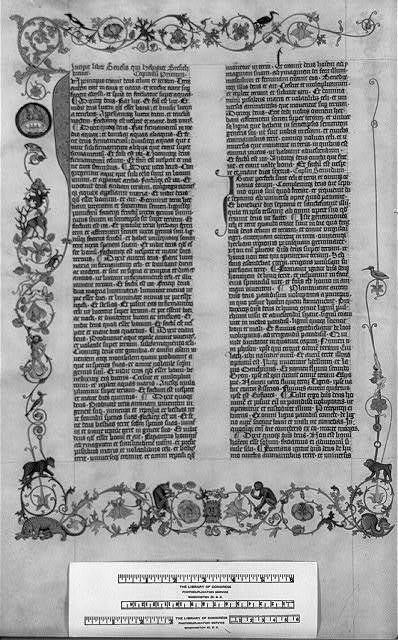 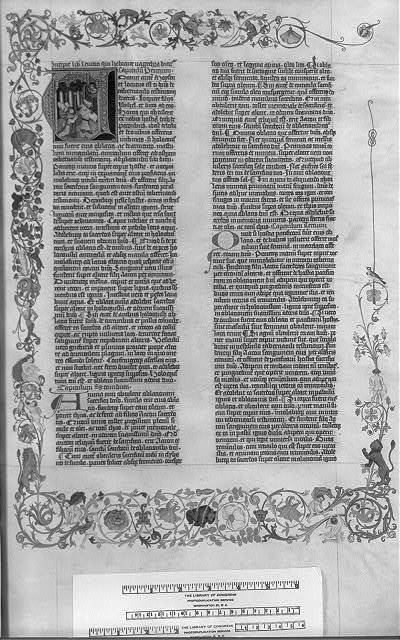 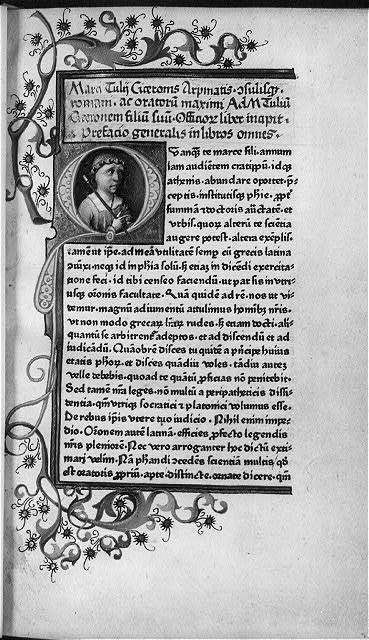 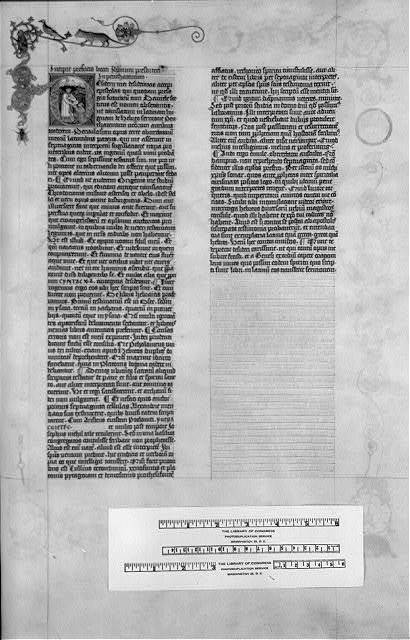 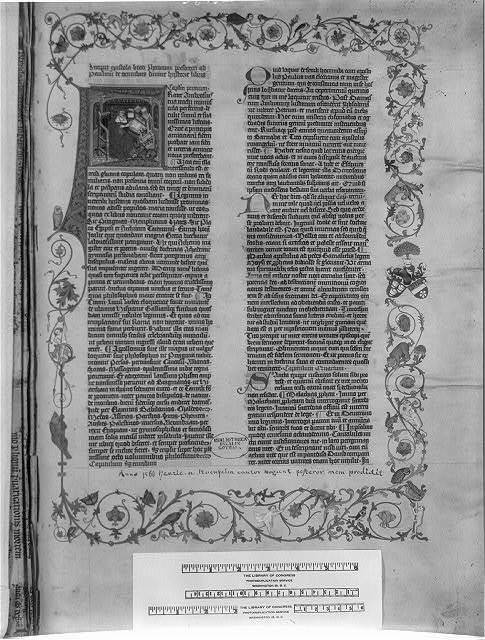 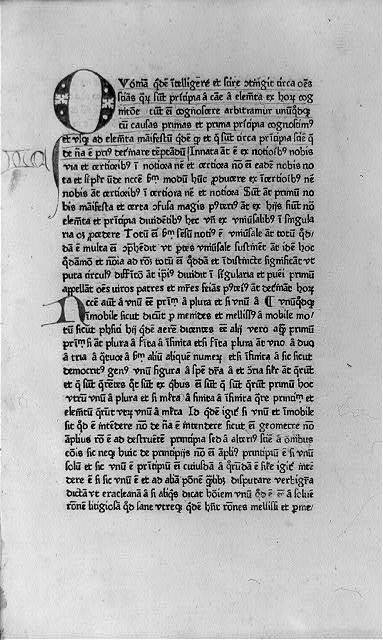 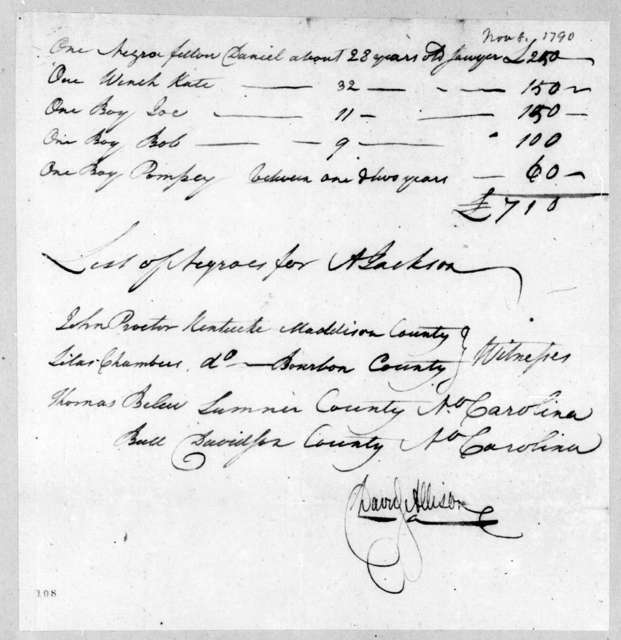 Bill of Lading. 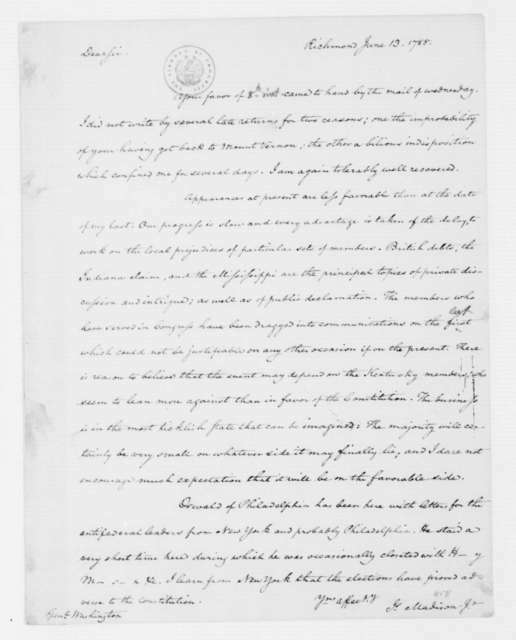 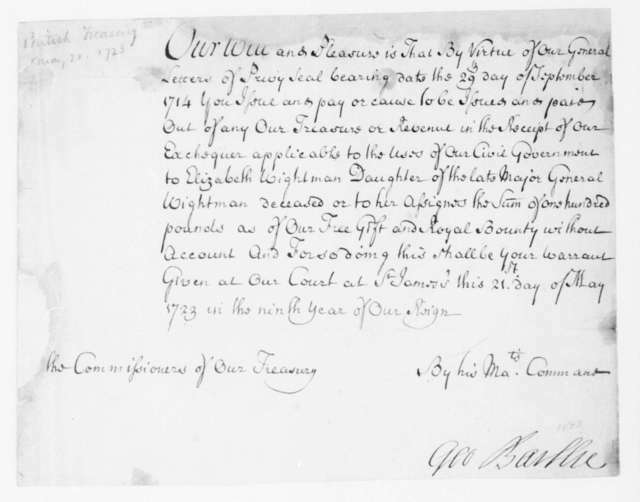 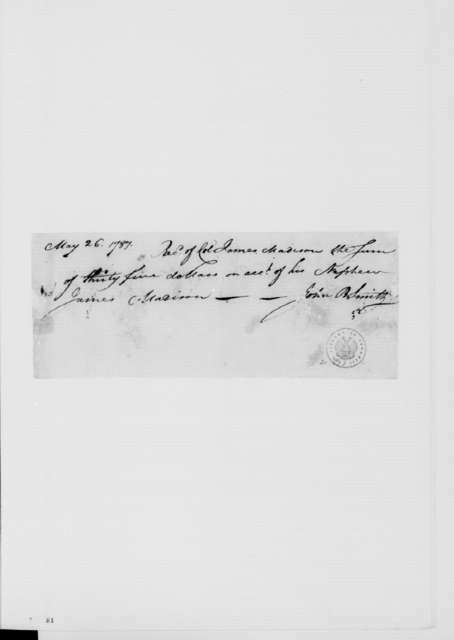 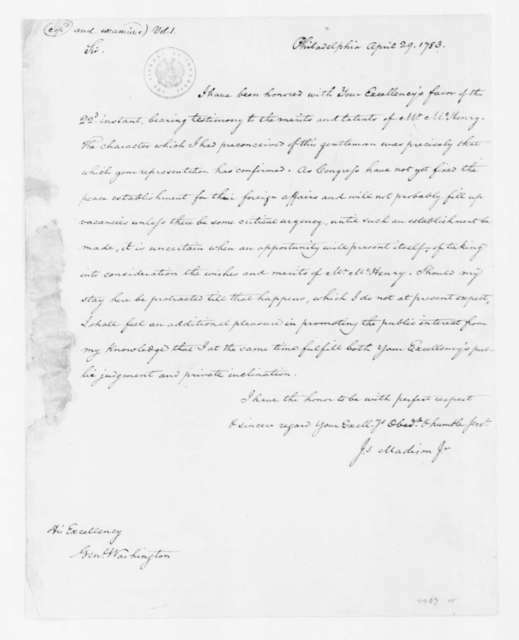 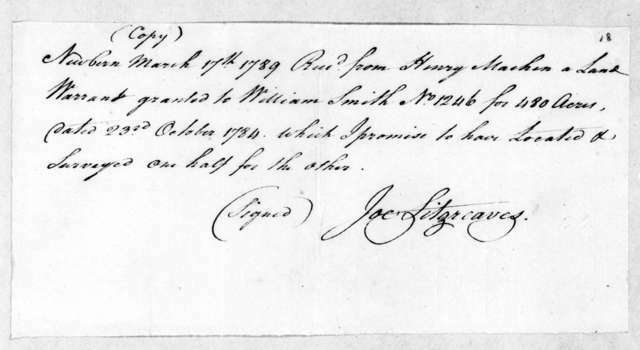 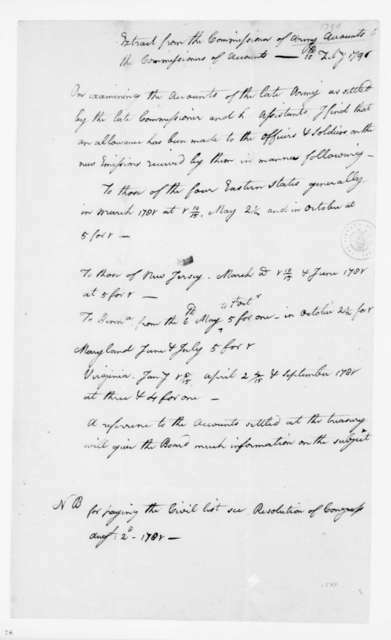 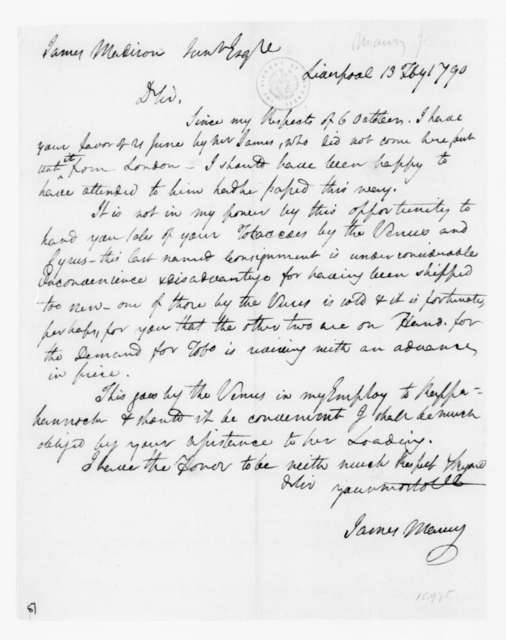 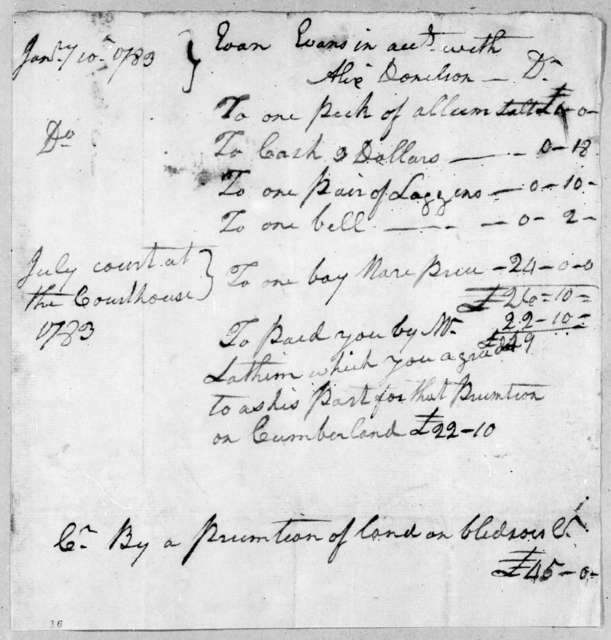 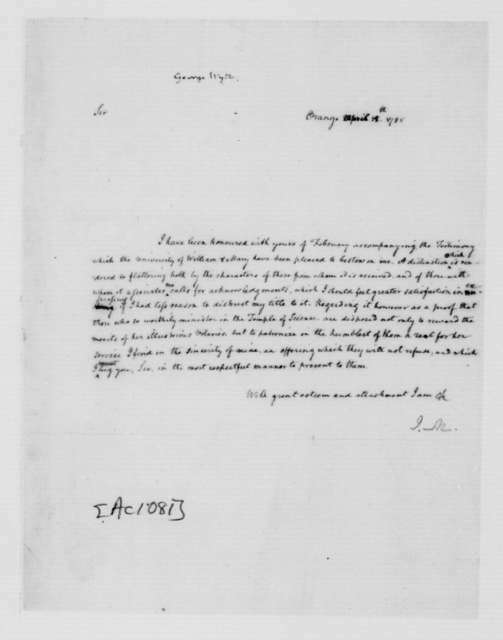 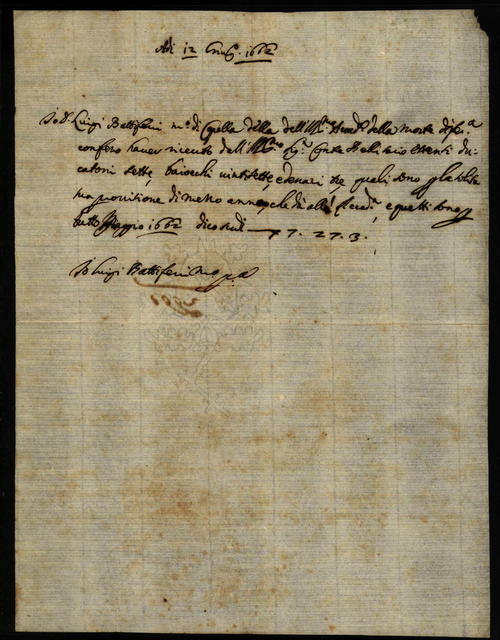 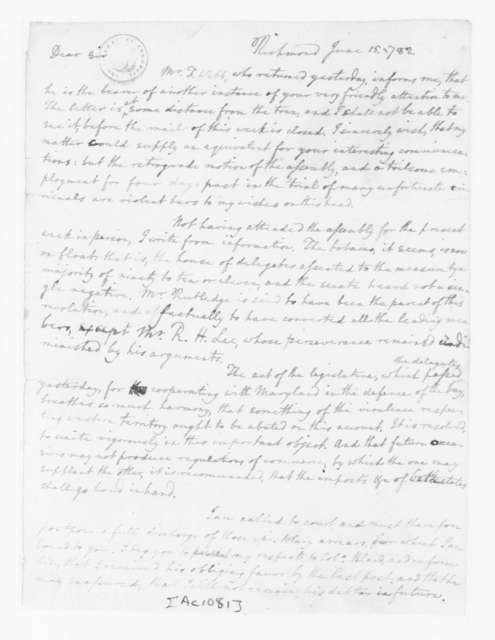 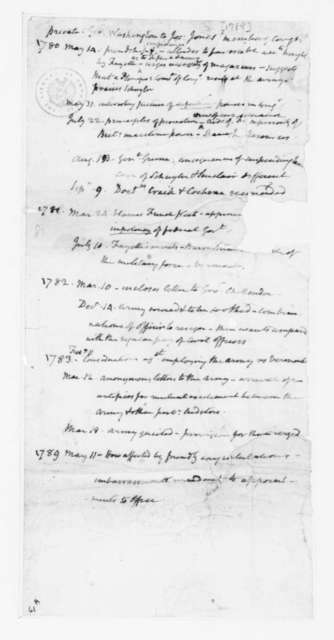 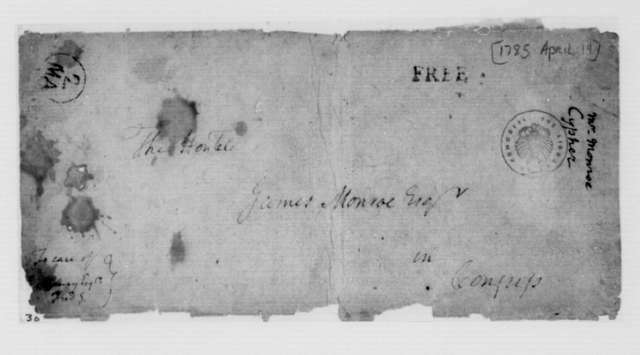 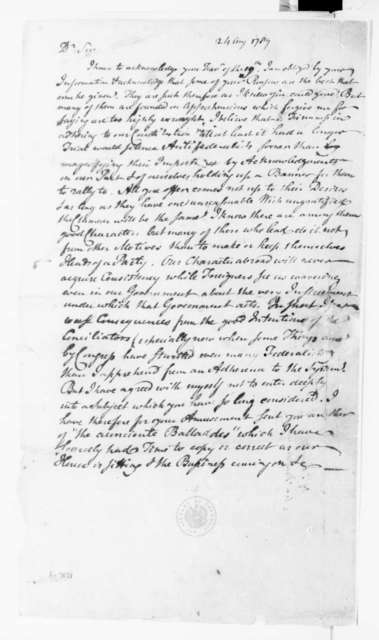 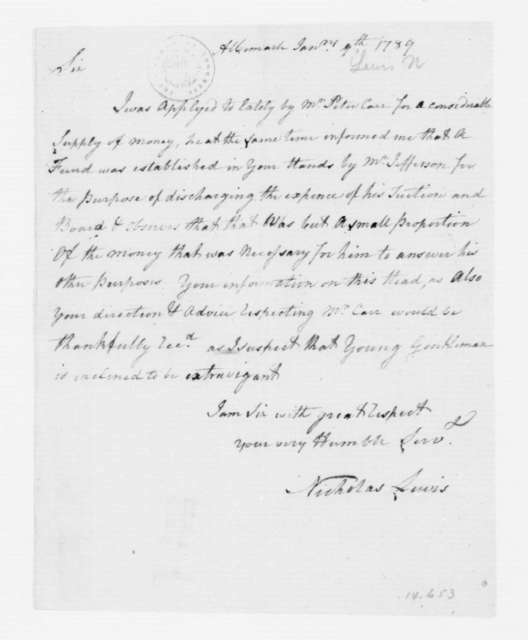 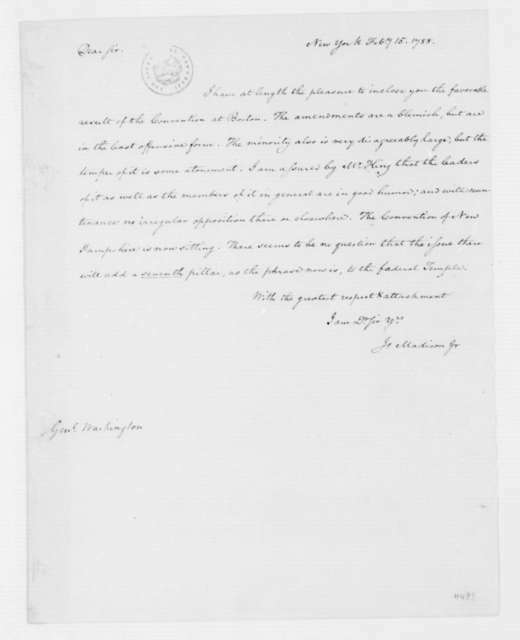 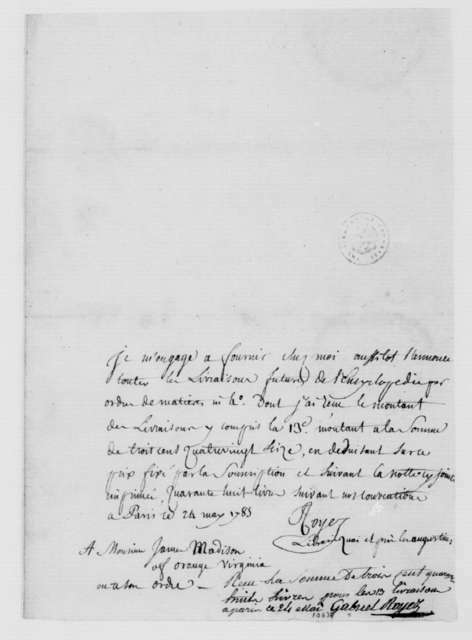 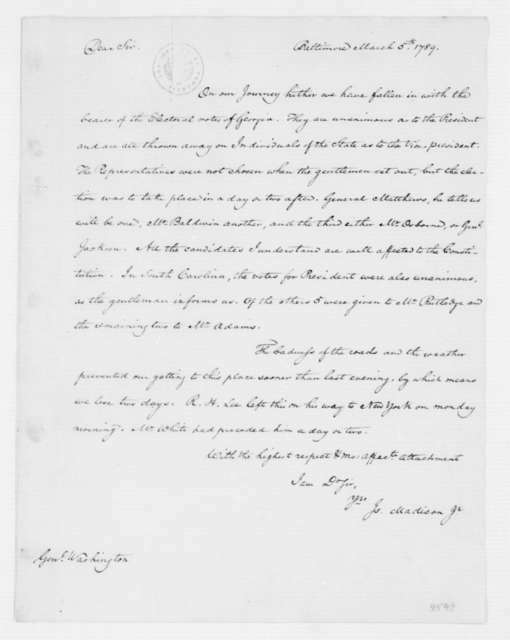 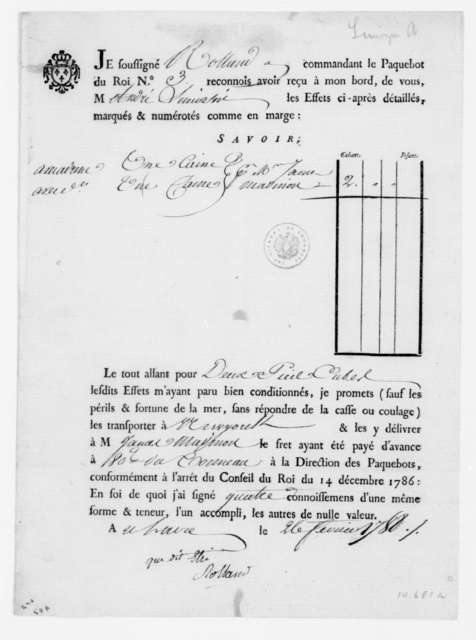 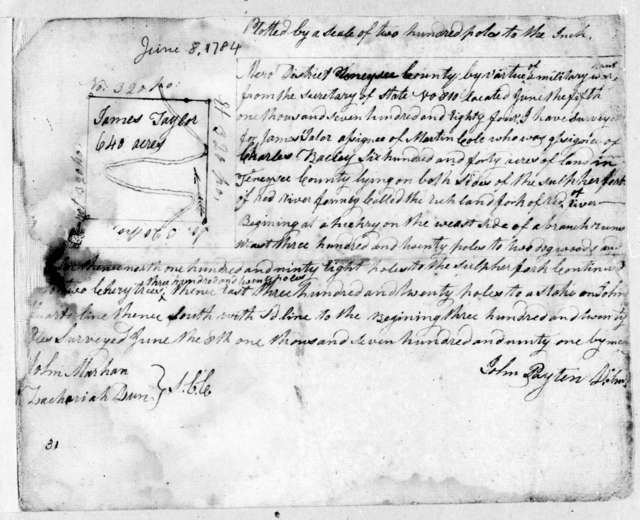 "Extract from the Commission of Army Accounts to the Commissioner of Accounts", February 10, 1790.